The wooden door of an ancient fridge hides a back room where the secrets of cheese have become unique aromas and flavours. An old parmesan advertising is hung on the wall: a direct recall to the memorable “terra d’ombra” black crust. 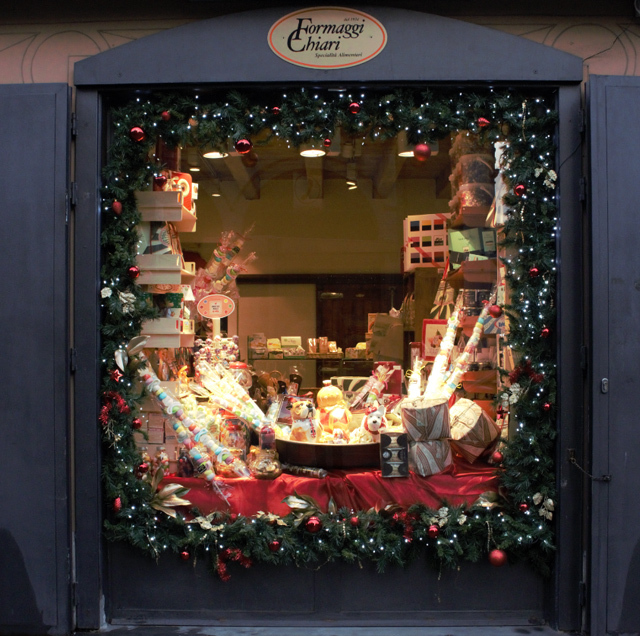 The shop windows are the perfect proscenium to reveal the delicate specialities. 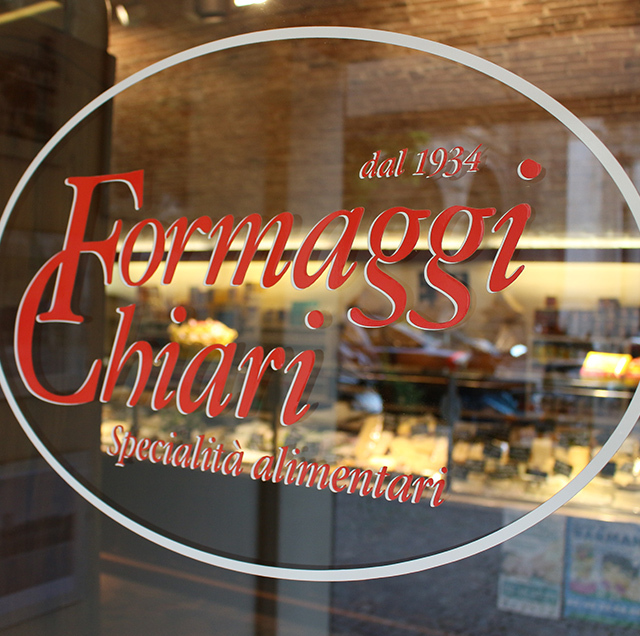 Lights & attention to the smallest details: these are the main features of the Formaggi Chiari’s restyling, a place in Bergamo where you find the authentic tradition. 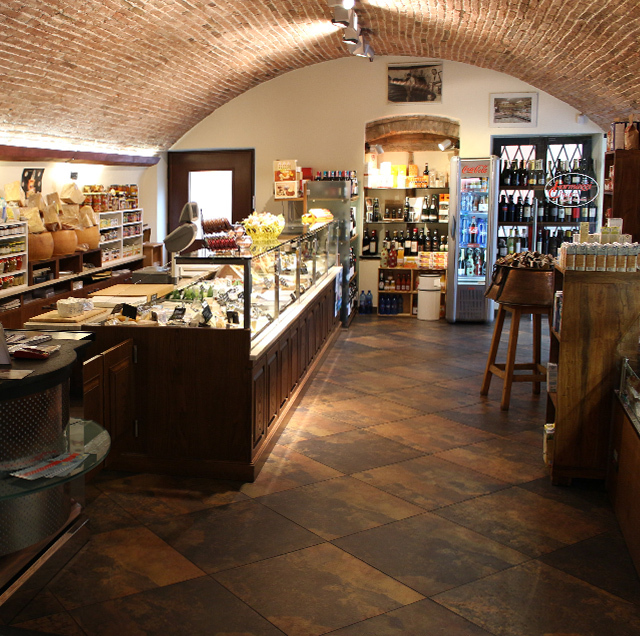 We are experts in the aging process of cheese and ham, but at the same time we are researchers because we are constantly looking for the best Italian and foreign specialties. At Formaggi Chiari, we personally verify the quality of the products to offer our clients a wide offer of the best products hailing from all over the world: the Spanish pata negra, the American lobster, the French foie gras, the Scottish salmon, the Italian caviar. Every year we attend national and international trade fairs to discover the most prestigious variety of foods to offer our clients. Today, the shop is run by Pierantonio. He belongs to the second Chiari’s generation, a family who has always been able to combine experience & personality to a great passion. 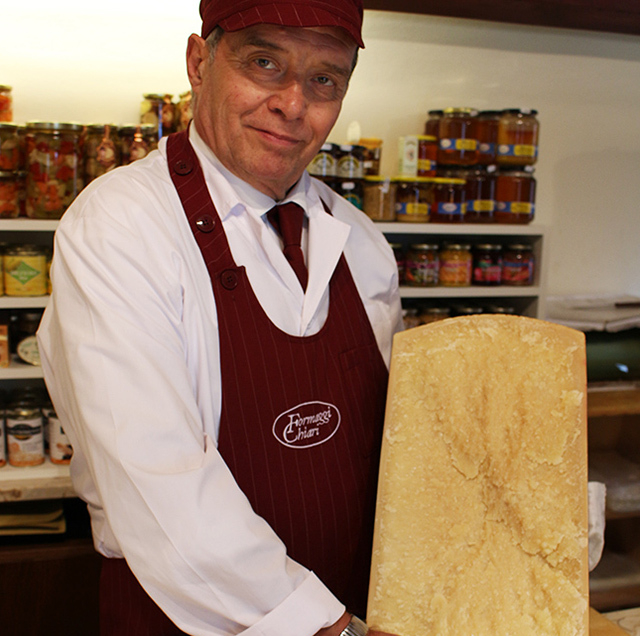 Formaggi Chiari’s story begins with Emilio Chiari, a peddler cheese from Parma. Everyday Emilio used to ride his bike around Italy to let people know the best product of his region: the Parmesan. He moved to Bergamo in 1935 where he met the love of his life: Dina. They decided to open their shop in 1946: a place where, now and then, you find traditional tastes and high quality products.